Researchers at Portland State University have developed methods for measuring levels of free-base nicotine in electronic cigarette (e-cigarette) liquids and vapor, the levels of which are associated with harshness upon inhalation of e-cigarette vapors and tobacco smoke. The study presents the results of analyses of 11 commercially available flavors of e-cigarette liquids from brands including Element, The Mad Alchemist, Adirondack Vapor, and an industry leader, JUUL. Among the samples tested, the free-base proportions for JUUL's "Fruit Medley" and "Crème Brulee" flavors were among the lowest. The JUUL fluids are also set apart by their very high total nicotine levels. The JUUL products are low free-base with high total nicotine, the perfect combination for tolerating inhalation of a vape aerosol in which the particles have a high nicotine concentration. As the journal Chemical Research in Toxicology put it in a tweet, "Nicotine state in e-cigarette liquids by NMR. JUUL: high nicotine+low fraction free base = high dose inhalable aerosol." 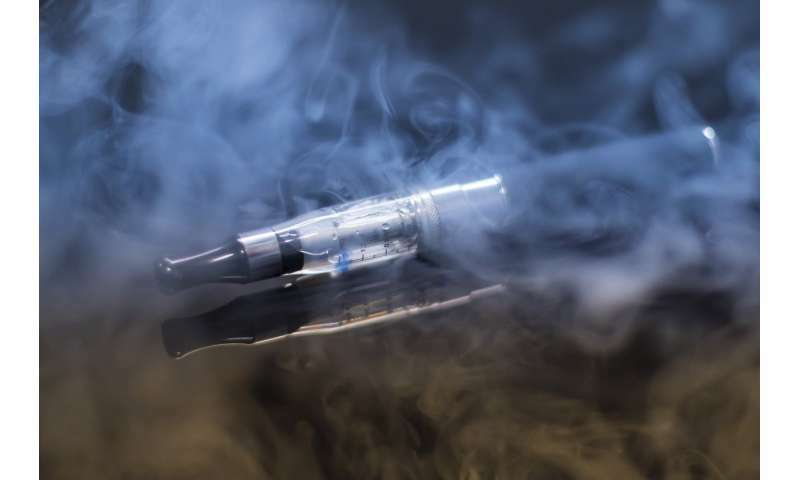 According to David Peyton, a Portland State University professor and co-author of the study, in many e-cigarette liquids on the market nicotine is often predominately in its free-base form, which can provide a harsh and unpleasant vaping experience at high nicotine levels. But, JUUL adds benzoic acid to its e-cigarette liquids, which reduces free-base nicotine proportion while maintaining the total nicotine delivery. While JUUL markets its e-cigarette as an alternative to smoking traditional cigarettes for adults, some say the product's sleek, easily-concealable design, and novel flavors contribute greatly to its growing popularity among youth. The PSU study shows how the high-dose inhalable aerosol is almost certainly critically important. With more youth reporting using e-cigarettes, products like JUUL are coming under increasing scrutiny. To slow an impending public health crisis related to e-cigarette use, state and federal lawmakers are pushing for regulations. In San Francisco, the public will soon vote on whether to ban the sale of candy-flavored e-cigarette liquids within city limits. However, as Peyton noted, the inclusion of smoothing agents like acids in certain e-cigarette liquids should also be of great concern to community health experts and policymakers. This research was published in the May 18 online ahead-of-print web version of Chemical Research in Toxicology and received support from the National Institutes of Health.